Every Wednesday, 11 indigenous women journey to a communal plot of land in San Antonio Palopó, perched above the shores of Lake Atitlán to work on the community garden. There, the women grow rows of corn, amaranth, carrots, medicinal herbs and seasonal fruits. Each crop represents a chance for learning and health in a town that sorely needs these opportunities. Six years ago, Hurricane Agatha destroyed thousands of families’ homes and livelihoods, and San Antonio has struggled to recover. Most families in this majority indigenous community live below the $2-a-day poverty line working as day laborers, which is inconsistent and often leaves them without enough income to provide a nutritious meal for their children. 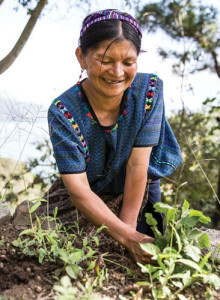 Under a program designed and implemented by Mayan Families, a local nonprofit organization; the Guatemalan Ministry of Agriculture, Livestock and Food; and the Peace Corps, these 11 women have learned crucial skills that have helped them become leaders in their families and in their community. At the first session, the women gathered hesitantly in the garden, giggling and hiding behind their shawls. But after a year of workshops, they move confidently around the garden, inspecting the plants and adding water or fertilizer where necessary. The group shares the labor of daily watering and tending the land and convenes weekly to plant seeds and discuss goals for the next week. Once the fruits, vegetables and medicinal herbs are ready to pick, the women evenly distribute the harvest. The group uses all organic seeds, fertilizers and pesticides, a rarity in the region’s agriculture. 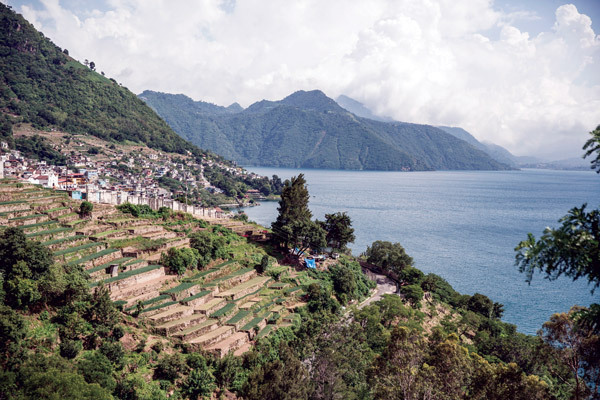 Pesticides and fertilizers have harmed Lake Atitlán’s fragile ecosystem and have contributed to cyanobacteria growth, which is harmful to the lake’s residents. Most small farmers don’t have access to organic alternatives, but these women will now be able to share what they have learned and encourage use of organic materials in the future. “Everyone says that harvesting crops and managing land is a man’s job. Yet here we are doing that every day. Now I could find a job in the fields because I already have the skills,” said Blanca Estela, one of the participants. 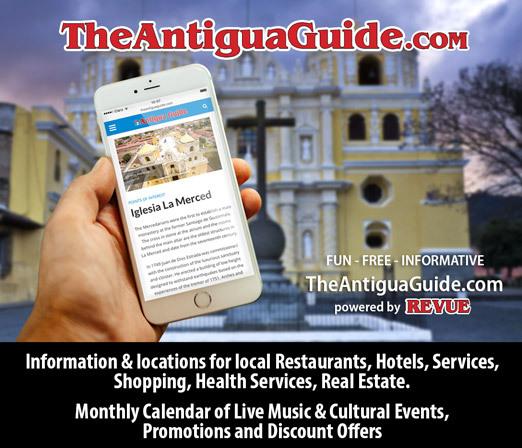 Finding employment is especially difficult for indigenous women in San Antonio, who might only speak their indigenous language, Kaqchikel, and who most likely did not study past primary school. Magdalena struggled to find odd jobs to provide for her family, from backbreaking work like carrying firewood to beading cintas, the traditional headband worn by women of San Antonio, earning less than $2 for two days’ work. Magdalena’s husband is an alcoholic and cannot work to help Magdalena support her five children. The three oldest children, 14, 17, and 20, all had to drop out of school to find work as day laborers to help support the family. Alcohol abuse is common in San Antonio, as is domestic abuse. Any type of steady employment can be a lifeline for a woman in a situation like Magdalena’s. Now, Magdalena works as a caretaker at the community garden, which provides a steady, reliable income and a schedule that corresponds to her children’s school hours. Many of the other women also hope that the skills they learn in the garden will lead to full-time employment. The program also focuses on nutrition education and teaching the importance of fresh food. One in four Guatemalan children is chronically malnourished, a number that rises to almost 70 percent within indigenous communities like San Antonio. 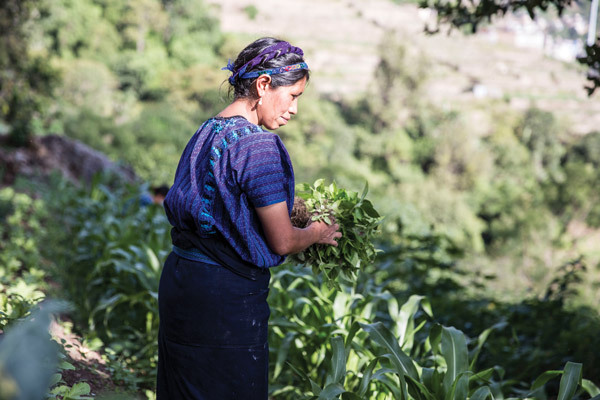 With access to fresh, nutritious foods, and knowledge about their importance, the women are at the front lines of the fight against malnutrition in Guatemala. The nutrition workshops are presented as games or activities, like making a fruit salad or medicinal teas, that encourage the women to work together as they learn. In April, the women received a take-home box garden starter kit. The women customized their boxes with colorful paint, and received two bags of nutrient-rich soil, garden tools and seed packets for them to grow their own beets, cilantro, lettuce, onions and radishes. These weekly activities and afternoons in the garden give the women a sense of sanctuary from their home lives. Tucked away from the road to San Antonio, the garden is peaceful and quiet. The women chatter to each other in Kaqchikel as they work, and their youngest children play with each other in the trees or between the rows. “There may be things going on at home but we can always go to the garden and be with the land,” said one of the women. In January, new women will join the group. The women from this year will act as mentors to the new members, thus creating a community of women leaders who will be powerful forces of change in their communities. Next year, the group hopes to improve the security of the land, add an irrigation system, and build a coop for egg-laying hens. Through the garden, these women will continue to sow hope for a better, safer life in San Antonio for their children and beyond. *Magdalena’s name has been changed to protect her and her family’s privacy. 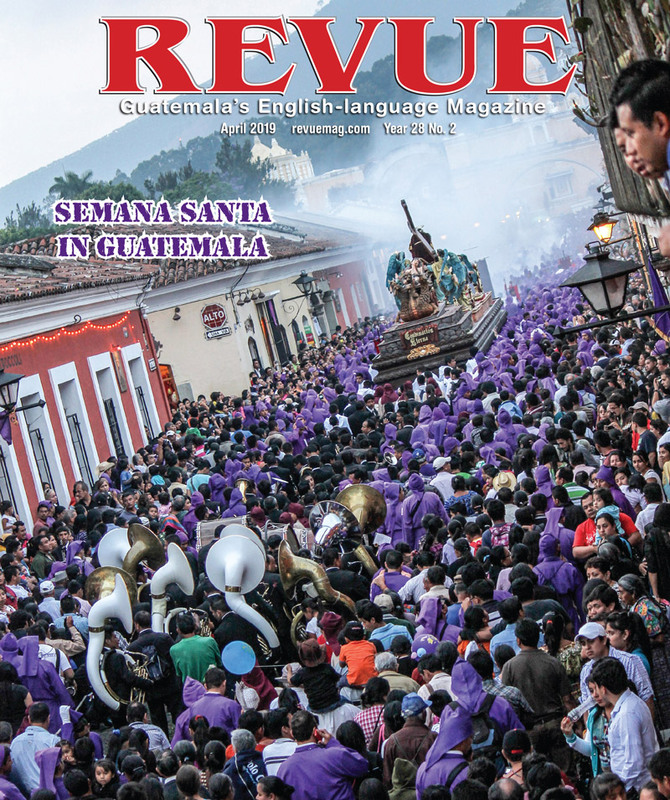 Anna Aspenson, Anna Watts and Erin Crandell contributed writing for Mayan Families. 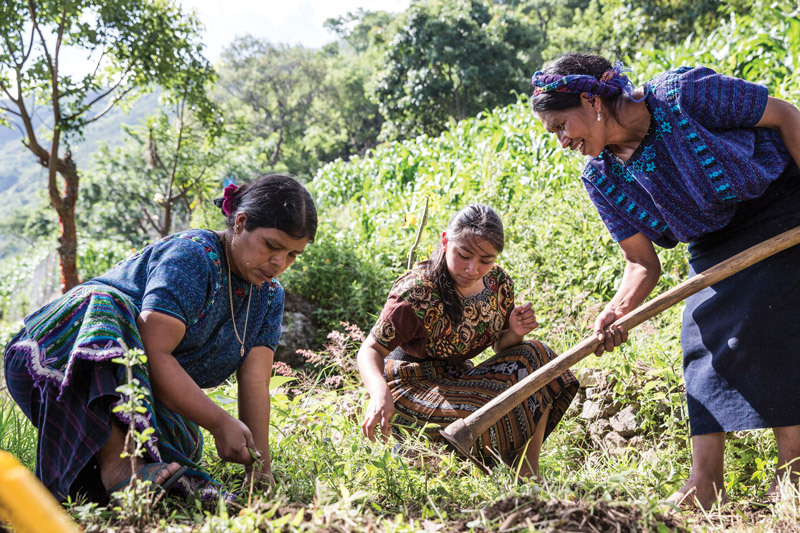 Mayan Families works with hundreds of indigenous women in communities like San Antonio Palopó on capacity building and educational programs like the community garden that help the women become empowered leaders in their families and their communities.